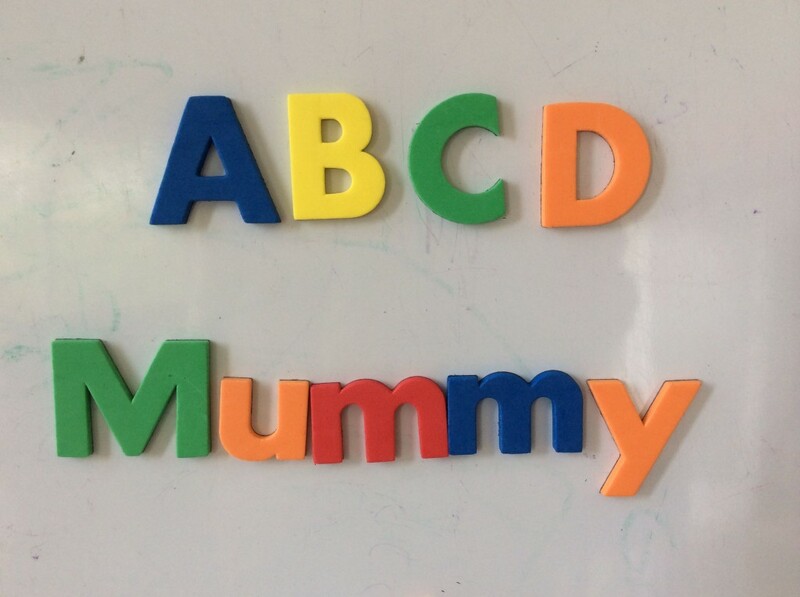 Sort magnetic letters on the fridge – sort by colour, by tall vs short, or by shape (i.e. lines vs circles) Or, make your names with magnetic letters. Make letters out of stuff! – Shape food into a letter on a plate, decorate cookies with letters, make letters out of stones outside, the possibilities are endless! Write letters for your child, especially his! – big letters, small letters, chalk letters, crayon letters, on paper, in the sand, on the driveway, on the window, etc. Have your child write letters (if he has the ability). Try something a bit different – Drawing letters on a baking tray layered with sand, sugar, or rice makes it a tactile experience for your child. Then you just shake and erase, and you’re ready for the next one! It’s a good idea to model how to write a letter by verbalising as you go. For example, “W-It starts here, goes down, back up, down, back up”. This is far from an exhaustive list. Feel free to add your ideas in the comment section. If you have any questions about these activities, let me know. Have fun!